#MondayMemories brings us back to Seven Swans iN Frankfurt, Germany. 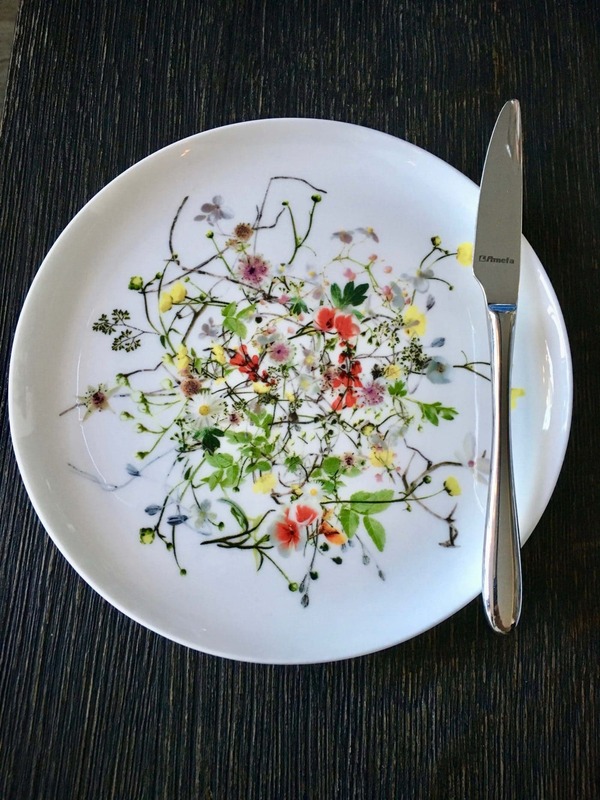 Since the all-vegetarian menu changes all the time, we decided to share this beautiful plate that welcomed us to an incredible culinary experience — every bit worthy of the Michelin star that made an indelible impression on us. Thrilled that we could introduce TravelingMom founder, Kim Orlando and her daughter who prefers to eat all-Vegan whenever possible to this special place. It is all-vegetarian, but a delight for any diner, on their Culinary Germany iNSIDE EUROPE experience this summer, too.